What Is “parentalcontrolsd”, and Why Is It Running on My Mac? Something called parentalcontrolsd is running on your Mac—at least, that’s what you found when you checked Activity Monitor. Maybe it’s using up CPU cycles, or maybe it’s just there and you want to know why. To begin: this is part of macOS, so don’t worry about it being malware. RELATED: What Is This Process and Why Is It Running on My Mac? This article is part of our ongoing series explaining various processes found in Activity Monitor, like kernel_task, hidd, mdsworker, installd, WindowServer, blued, launchd, backup, opendirectoryd, powerd, coreauthd, configd, mdnsresponder, UserEventAgent, nsurlstoraged, commerce, and many others. Don’t know what those services are? Better start reading! parentalcontrolsd is used by Parental Controls to manage and track restricted users. Anyone who reads man pages regularly knows that very few processes have that specific of a task outlined. In theory, this shouldn’t be a process that gives you any trouble, but theory is one thing and reality is anther. This daemon should not be running if you don’t have parental controls enabled. So if you’re the only person who uses your Mac, and you don’t recall setting up Parental Controls, you might be wondering why this daemon is running at all. The most common reason: you’ve set up a guest account on macOS. 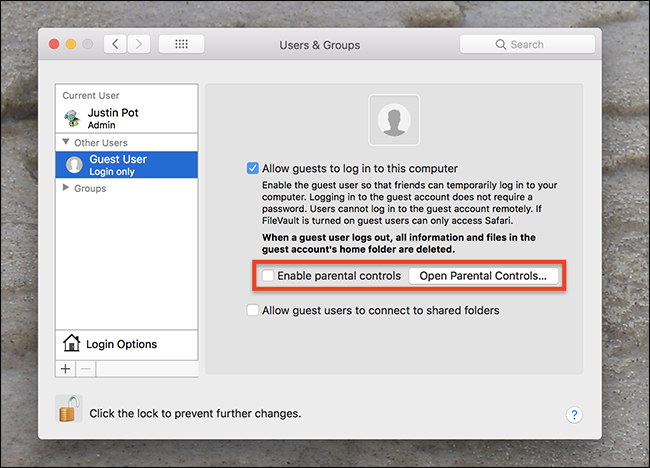 Parental Controls is enabled by default for your guest accounts, meaning parentalcontrolsd will run on your Mac. You can disable Parental Controls for your Guest account by heading to System Preferences > Users & Groups. Click the “Guest” account in the sidebar, then make sure that the “Enable parental controls” option isn’t checked. In most cases this should stop parentalcontrolsd from running at all. Multiple Mac users have report parentalcontrolsd burning up CPU cycles, occasionally to the point where the entire computer slows down. Often the users reporting these problems never set up Parental Controls. If this is happening to you it’s worth first making sure that Parental Controls aren’t enabled for any account on your Mac, including the Guest account as outlined above. Restart your Mac after doing this. 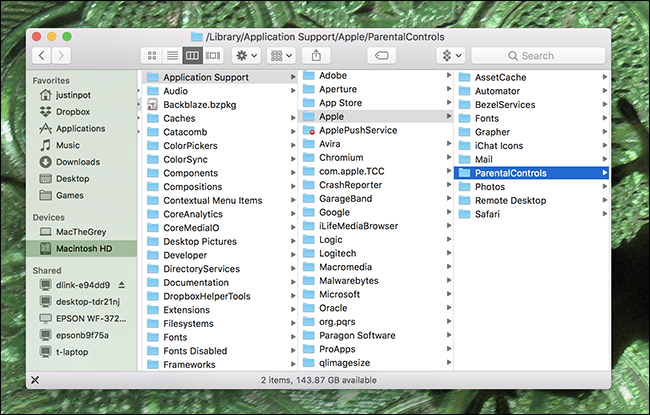 Next, head to /Library/Application Support/Apple/ in the Finder, and look for the “ParentalControls” folder. Go ahead and delete this folder, then restart your Mac. The process monitors this folder for changes, meaning a corrupt or stuck file here could cause the process to hang; deleting the folder entirely can fix that.